“You have to start it from the very beginning or it won’t make any sense,” I said to my husband, Collyn, as we clicked through Netflix. It was right after they’d released “A year in the life” and I was debating watching it but I knew he would be totally lost and probably bored without the context of the original show. And so, we spent many a night with Lorelai, Rory and a few of our other favorites- which don’t get me wrong was great and all buuut not the greatest use of time spent together. Orange County is filled with farmers markets and there’s nothing quite like farm fresh produce. Explore, try new things, pick up what you need for your recipe. Then, open a bottle of your favorite wine (or scotch) and the rest is easy, just follow the recipe! Wine tasting and dinner at the SoCo Collection. 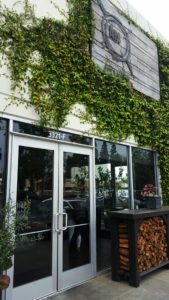 Speaking of farmers markets, we recently stopped by the farmers market at the SoCo Collection and stumbled across this little wine shop that we fell in love with. The employees were so kind and knowledgeable that we ended up joining their wine club. On Fridays, non-member tastings are $10, on Saturdays they cost $5 and if you sign up for wine club tastings are free! If you like whiskey and craft beer, this is a great place to check out! Locations are popping up all over California and a few other places. Orange County is home two locations, Huntington Beach and Irvine. 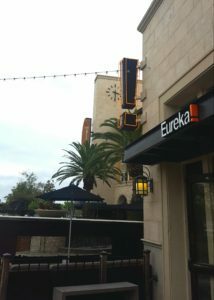 In addition to the great food and cocktails, they offer great brunch and weekly events. One of our favorites is “Steal the Glass” night. Each Wednesday a different brewery features one of their beers. 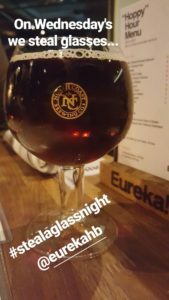 If you order the featured beer you get to take the glass home too. We’ve been able to try some great brews and we’ve got a growing collection of glasses too! I usually check their Instagram to see what events are coming up! 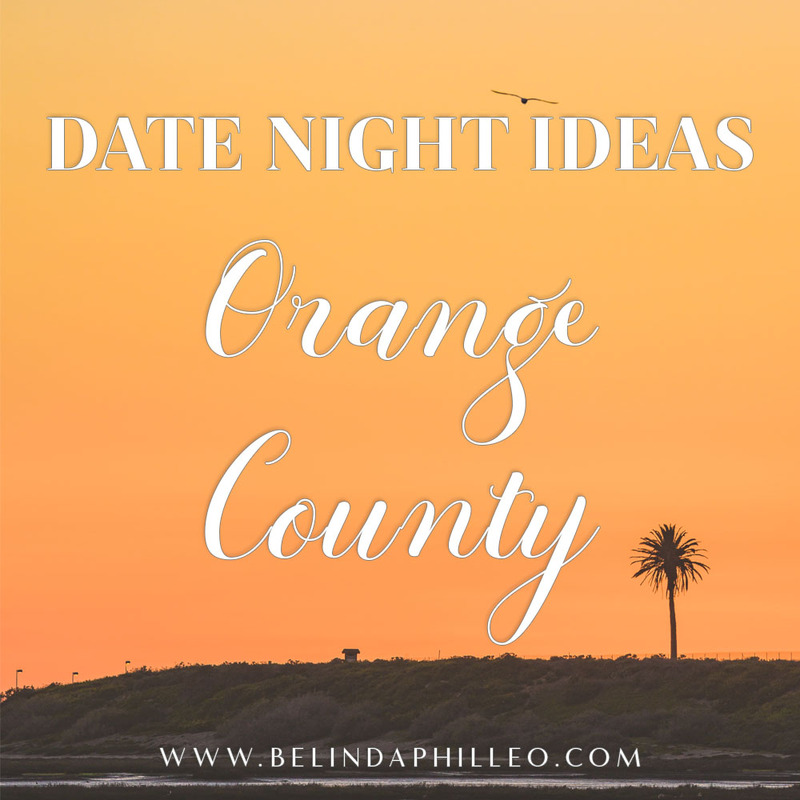 If you’re at the Bella Terra location in Huntington Beach there’s a movie theater next door so it’s a great spot if you’re looking for a dinner and a movie night out kind of date. Not the movie going type? Barnes and Noble is across the parking lot and the beach is only a short drive away. The Anaheim Packing District is filled with all kinds of good food finds, and reservations at The Blind Rabbit Speakeasy are a must! You’ll feel like you’re stepping back in time at the Blind Rabbit, it’s incredible and I can’t wait to go back. Be sure to make reservations in advance and double check the dress code.